This is the first of two articles from ultimatesportsinsider.com about athletic budgets, prompted by the previous post about the athletic budget issues being faced at Stanford. 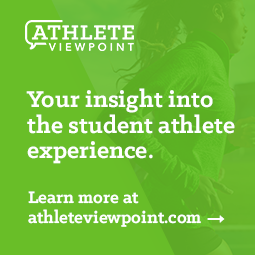 The focus of this article is to identify potential areas for college and university athletic programs to consider when looking for savings. While every institution is different many of these ideas are likely applicable across many departments. Pull out the budget - You've already done it, but looking at every area of spending again and again is crucial and can help unearth areas that aren't as lean as they could be. Examine your processes - ultimatesportsinsider.com talked about Kaizen earlier, a process that is used by the Japanese to cut costs while improving performance. Examine event management staff - costs add up quickly in this area - ushers, ticket takers, custodial and security staff are all important, but can they be redistributed in a manner that reduces staffing costs while maintaining safety and security? Generalization or specialization - Think rationally about issues of staff specialization if openings occur through attrition. Most staffs in Division I athletics have become increasingly specialized - Consider basketball's explosion in staff sizes to the point where there is often nearly a 1 to 1 ratio of staff to student athletes. Common institutional responsibilities for just one team (with just 13 athletes) include: head coach; assistant coach (3); director of player personnel; director of basketball operations; assistant director of basketball operations; basketball operations coordinator; academic support specialist; strength coach; athletic trainer; film and video coordinator and sports information director. Some of these positions are specialized for a reason, but other positions may be redundant and worthy of elimination through attrition. Fly or drive? - The cost of flying is significantly greater than chartering a bus. A rule of thumb to consider - if travel by bus will take less than 7 hours (one way) from the time a team departs campus until the team arrives at its destination, it will probably take only slightly less time to fly and not be significant enough of a difference to justify the difference in costs. Reduce meal money for athletes when traveling - If a team eats together, do so outside the hotel where meals can be significantly more expensive. Use corporate partners - Ask the school to which you are traveling to identify their corporate partners and a contact person so that you can negotiate discounts in conjunction with their partnership. Be sure to reciprocate and offer the same to the visitors you are hosting. Not only can it save money, but it enhances the return on investment for the corporate partner. Schedule more local non-conference contests - And travel on the day of the game, not overnight. Reduce or eliminate competition in the non-traditional season. Reduce the size of your media guides - or even eliminate them. It's unlikely there is anything in your media guide you don't already have on your website. Cut down on over-night mail - Does your package really need to be there the next day? Defer high-end maintenance - Keep doing the important regular maintenance to keep your physical plant healthy (it's similar to changing your oil every 3,000 miles or getting your teeth cleaned every six months- you avoid expensive major problems). Larger projects should be analyzed to determine if they are a "need" or a "want". Schedule staff members in a non-traditional work week (e.g. Wednesday - Sunday) to avoid overtime costs for weekend work. Bring fall teams back to campus later than the permissible start date to reduce preseason meal and housing expenses. Some of these suggestions are easier to implement than others. The highly competitive environment of college athletics may make people reluctant to show less "commitment" or leave a program in a less competitive position. To that end, part two of this series will provide ideas to be considered by conferences and the NCAA so that collective action can save resources for all while maintaining a level playing field.